The researchers followed 243 participants from the time they were born until they were 32 years old, keeping track of their education, jobs, marriage, and other indicators of success. In this longitudinal study, they found that there was one big factor in the participants’ early life that could have a long-lasting impact. The results showed that the major influencer in attaining academic achievements and social competence, even after thirty years, was sensitive caregiving. The children who received attentive, sensitive caregiving also got higher test scores throughout their teenage years and, as adults, achieved higher levels of education. They had greater success rates with intimate relationships -more committed, loyal, and intimate relationships, in comparison to the group who didn’t get the same attention in early life. But what exactly does sensitive caring entail? According to the researchers, sensitive caregiving is “the extent to which a parent responds to a child’s signals appropriately and promptly, is positively involved during interactions with the child, and provides a secure base for the child’s exploration of the environment”. In other words, it’s a parent’s ability to read his or her baby’s cues and respond accordingly. It’s the capacity to distinguish if a baby is hungry, sick, or needs a diaper change, and attend to his or her needs appropriately and in a loving way. As we can see from the study, early sensitive caregiving may result in long-term returns that add-up across a child’s life. In these interactions, both the parent and the child are active partners in the ‘serve and return’ exchange. Remember to continue nurturing your little one and be conscientious of her needs, over time. The positive interactions you have with her will provide a safe, comforting, and predictable environment, forming the foundation of a nurturing and reciprocal relationship! 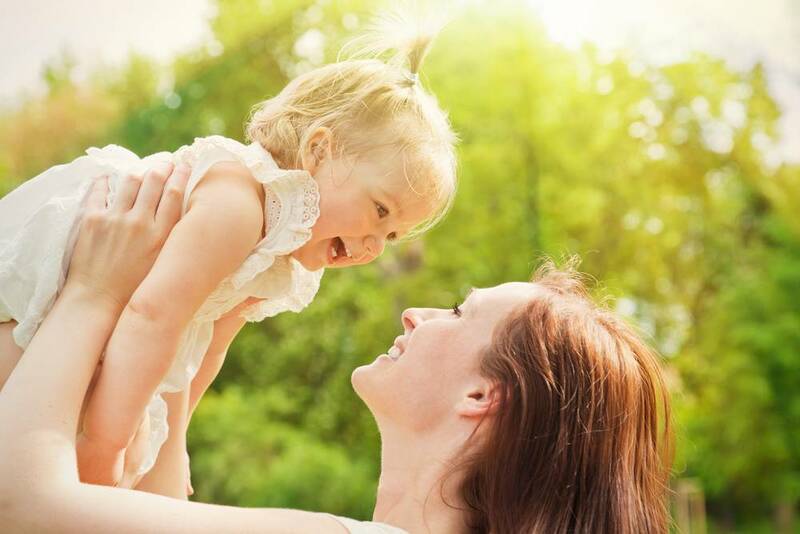 Early experiences, especially the relationship between a child and a parent, impact the development of the brain architecture, providing the basis for all future learning, behavior, and health.